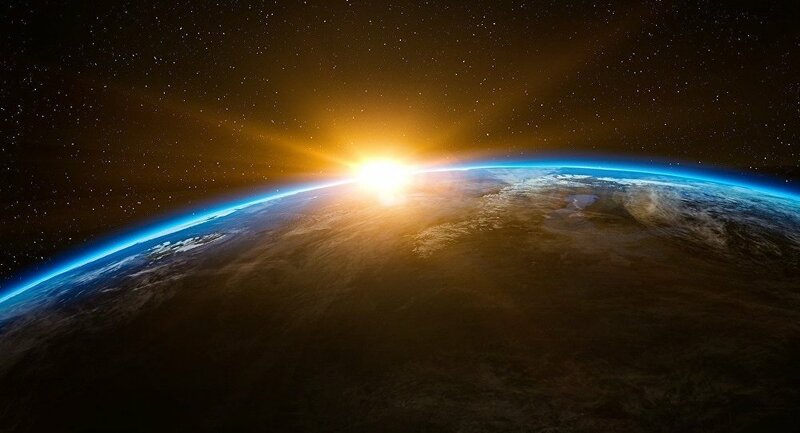 A breakthrough study claims that the so-called building blocks of life, the elements that are the backbone of organic molecules which form living matter, came to Earth from outer space. According to a team of researchers from the University of Hawaii at Manoa and their colleagues from France and Taiwan, phosphates and diphosphoric acid, two major chemicals that form chromosomes carrying our genetic information, were generated billions of kilometers away from our planet and were delivered to Earth by space wanderers such as asteroids or comets. The scientists used a vacuum chamber cooled down to near absolute zero to simulate interstellar icy grains coated with carbon dioxide, water, and phosphine. When exposed to radiation, these grains created both phosphates and diphosphoric acid. "On Earth, phosphine is lethal to living beings," said Andrew Turner of the University of Hawaii. "But in the interstellar medium, an exotic phosphine chemistry can promote rare chemical reaction pathways to initiate the formation of biorelevant molecules such as oxoacids of phosphorus, which eventually might spark the molecular evolution of life as we know it." Scientists suggested that these phosphorus oxoacids could be traced back to an interstellar medium, the materials that fill the space between stars, which are delivered to Earth by comets or meteorites. "Since comets contain at least partially the remnants of the material of the protoplanetary disk that formed our solar system, these compounds might be traced back to the interstellar medium wherever sufficient phosphine in interstellar ices is available," said Cornelia Meinert of the University of Nice in France.